New Delhi : Redmi Note 7 with 48MP primary camera is all set to launch in India, the company released a teaser via its official Twitter account. The tweet contains text upside down, accompanied by a photo of Xiaomi India MD Manu Kumar Jain and Xiaomi CEO Lei Jun holding the Redmi Note 7. The company is yet to announce a launch date of the device in India. Some reports claim that the device will arrive in India by the March. 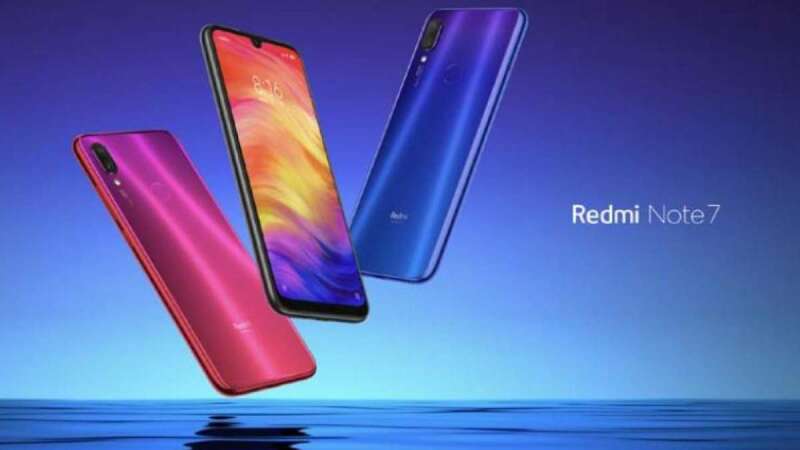 Redmi Note 7 was well-received in China as it sold out within minutes in all three flash sales. The phone features a premium glass body design and comes with a massive screen-to-body ratio thanks to the waterdrop notch display. As for the specifications, the device sports a 6.3-inch Full HD+ display with 2340 x 1080 pixels screen resolution and 19.5:9 aspect ratio. The display carries support for 450-nits brightness, 1,500:1 contrast ratio, sun legibility, and eye protection mode. Under the hood, the device is powered by Qualcomm Snapdragon 660 octa-core chipset with 3GB/4GB/6GB RAM and 32GB/64GB internal storage. It also comes with a dedicated microSD card slot allowing users to expand the storage capacity. As for the software, the smartphone is running Android 9 Pie-based MIUI 10 out-of-the-box. It is equipped with a 3.5mm audio jack and features an infrared blaster as well as a back-mounted fingerprint sensor. The phone is powered by a 4,000mAh battery with support for Quick Charge 4.0 fast charging technology.